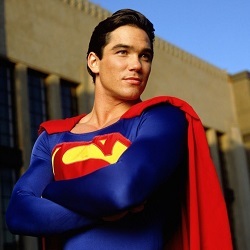 Dean Cain, well known for portraying Clark Kent & Superman on the TV show “Lois and Clark: The New Adventures of Superman” and currently appearing on Supergirl, will be headlining the celebrity guest lineup at the Dec. 3 & 4, 2016 winter edition of the Northeast Comic Con & Collectibles Extravaganza at the Shriners Auditorium in Wilmington MA near Boston. Immediately after graduation, Cain signed on as a free agent with the Buffalo Bills. A knee injury during training camp ended his football career prematurely. In 1993, Cain took on his biggest role to date as Superman in the television series Lois & Clark: The New Adventures of Superman. At the height of its popularity, it would bring in an average of at least 15 million viewers per episode. 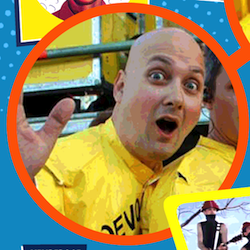 In 1998, Cain started the Angry Dragon Entertainment production company, which produced the TBS Superstation television series Ripley’s Believe It or Not!. Cain made a return to the Superman franchise, with a special guest role in a season seven episode of Smallville. He played the immortal Dr. Curtis Knox, a character based upon the DC Comics villain Vandal Savage; and currently is in a recurring role of Supergirl, as the title character’s foster father, Jeremiah Danvers. Cain also appeared in the mid-season premiere of Comic Book Men, appearing at Kevin Smith‘s Secret Stash. The crew was celebrating 75 years of Superman, citing that Dean Cain helped people care about Superman again. 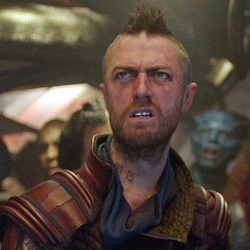 Also appearing will be actor Sean Gunn, who starred on “Gilmore Girls“. Sean is the body double for Rocket Racoon in “Guardians of the Galaxy,” and also appears as Ravager Kraglin in Vol.1) and the upcoming Vol 2 GOTG) as Toby in “Super“, and starring in the new James Gunn film “The Belko Experiment,” for autographs, photos and a Q&A on his career. Special musical guest will be Cherie Currie. Cherie was the lead singer in the ground breaking all female punk rock band The Runaways, who also appeared in films including “Foxes” with Jodie Foster. She is an accomplished chainsaw carver and will be signing autographs, taking photos with fans, doing a Q&A panel, and performing some Runaways songs at the After Party Concert Sat. Dec. 3rd in the Fez Room at the Shriners Auditorium along with The Lights Out, Charlie Farren, Tsunami of Sound and others. Billy West, the man of a million voices, starred as Ren & Stimpy, Doug Funny, the Red M&M and most of the characters in Futurama. 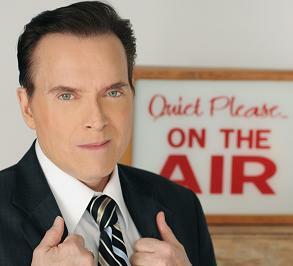 Billy will be appearing both days to sign autographs, do photos, and will be doing a Voice Actors Script Read on Saturday and a Q&A on Sunday. Billy started his career here in Boston on WBCN! 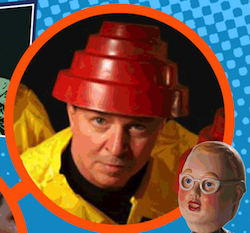 Also joining in the musical fun will be members of the groundbreaking musical act DEVO, Gerald Casale and Josh Hager to meet fans and discuss their careers in a Q&A. 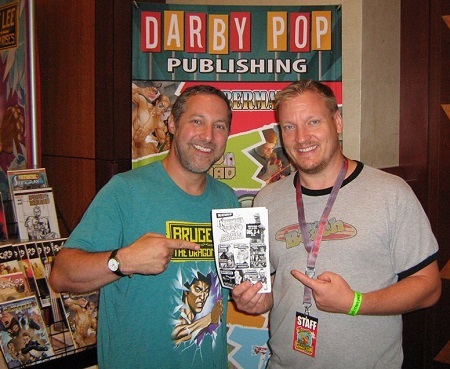 Other guests include Robert Bruce, Producer and Talent on “AMC’s Comic Book Men” with Kevin Smith, and well-known collector and dealer of Japanese Animation and Vintage Toys, seeking characters to possibly appear on Comic Book Men. 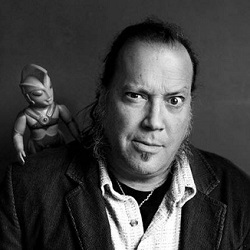 Also appearing will be Jeff Kline, Executive Producer of animated television series including “Transformers: Robots In Disguise,” “Jackie Chan Adventures,” “Dragon Tales” and “Godzilla,” currently writer and publisher at Darby Pop Comics, offering portfolio reviews, and both will educate on a panel on Careers in the Creative Arts for the Next Generation. There will be a large and diverse range of collectibles, comics, toys, nerd crafts, art, literature, records, video games and accoutrements of popular culture from music, TV and film. Find collectibles from the mid 20th century to today’s most popular and hard to get items for the nerds, geeks, and fans on your holiday shopping list. There will be Cosplay Stage Activities all weekend! 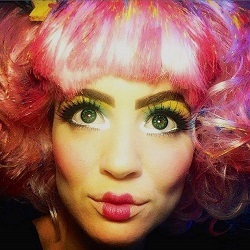 This includes Costume Contests with Prizes, Cosplay Games, Pose-Offs, Meetup Group Shots. Experience our Create-A-Hero, Create-A-Villain and Create-A-Character activities for Original Costuming Contests with a Backstory. Also on the Cosplay stage will be presentations of Special FX make-up and costuming with Tyler Green and Ebony Amber, and presentations of Parade and Special FX Masks with Eric Bornstein of Behind the Mask Studio. 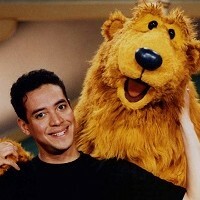 Puppetry workshops and performances by Muppeteers Noel MacNeal, puppeteer and voice of Bear from Disney’s “Bear in the Big Blue House” TV show. 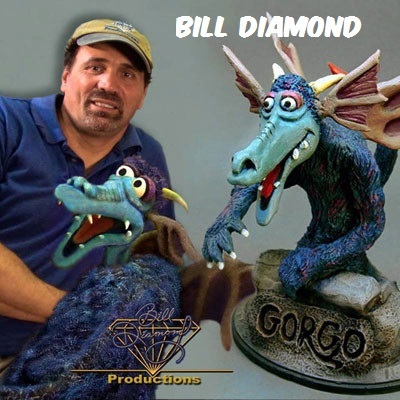 Bill Diamond will also appear, with puppets he used working on “The Dark Crystal,” “Fraggle Rock” and “Little Shop of Horrors” (including the Audrey 2 man-eating plant puppet). You’ll find other educational opportunities at the Kids Comic Con section featuring coloring, writing, story-telling and other activities. There is free admission for children 8 and under. The Game Underground Arena features free play on vintage and modern video game systems, along with tournaments with prizes. The Fez room will feature Morgan White Jr’s Trivia contests with prizes and Zephyr Workshop providing tabletop and card games for free play. Enjoy live music performed on the Geekbeat Radio stage, including The World Is Square and numerous chiptune artists. The Northeast Comic Con & Collectibles Extravaganza at the Aleppo Shriners Auditorium in Wilmington, Massachusetts will be open Saturday Dec. 3 between 10:00 am and 6:00 pm, and Sunday Dec. 4 between 10:00 am and 5:00 pm. Early entry is available at 9:30 am each day for an added fee. There are Celebrity VIP opportunities available. Admission available in advance for discount prices online at www.NEComicCon.Net. There is a fee for autographs and photos ops.